Yesterday we had good news from Eurostat which published inflation data. According to the latest findings the year on year Consumer Price Index Flash Estimate indicates the Eurozone exiting deflation. The number reported on Thursday was way under the ECB’s target 2% target recorded an increase to 0.0% when compared to the prior months -0.1%. However it is hoped that yesterday’s number will put a floor in the recent down trend in consumer prices. According to Eurostat the falling cost of energy has contributed greatly to the downward pressure on CPI data. April’s energy data according to most recent findings indicates that the drop off in energy prices has declined and this would be in line with price activity for WTI and Brent Crude which have both rallied over the past month. Although the hard data is not available to come to any conclusions and with the ECB’s EUR 1.1 trillion stimulus program being it its infancy one can only assume that decisive actions taken decision makers has had some effect. There was some good news from the labor market with the Eurozone unemployment rate staying stable at 11.3%. Although the market forecast of 11.2% was missed there is some comfort from the fact that we did not see a second month of rising jobless. Looking at the overall numbers with German jobless levels running at 4.7% and with Greek and Spanish levels running at 25.7% and 23% respectively it can be seen that the recovery in the Eurozone job market is unbalanced. The state of the job market in Greece has been at critical levels for some time. However with the cost of labor and other overheads falling in this country it is hoped that reforms and the economic liberalization will allow risk takers to identify opportunities so as to rebuild Greek business from the ground up. 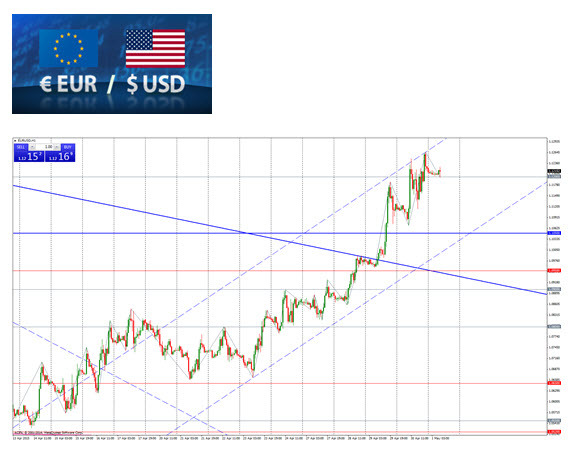 All we need is an agreement to be reached between the Greek Government and Eurogroup to strengthen the EURUSD.